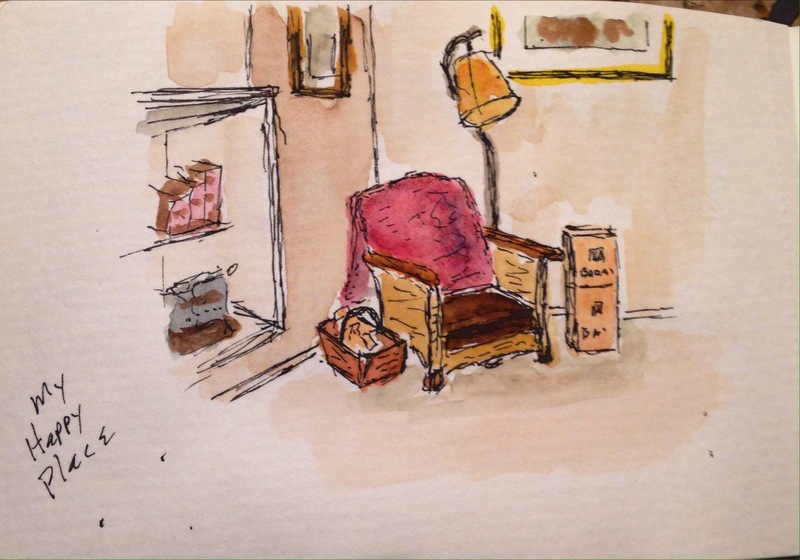 This entry was posted in ink, pen, sketch, Watercolor. Bookmark the permalink. It looks perfectly cozy and inviting! Thank you, it is, I love the mornings, it’s quiet and easy to read and reflect.